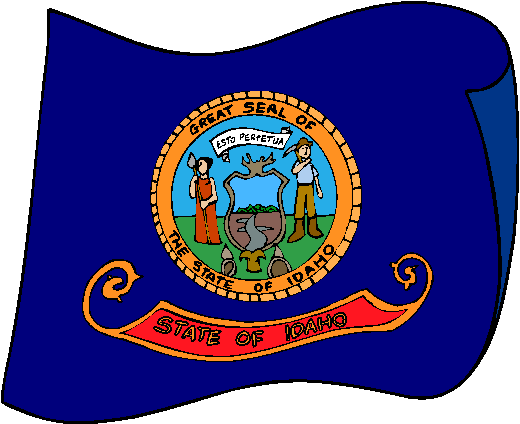 The Idaho state flag is based on a designed carried by the First Idaho Infantry in the Spanish-American war. It was adopted as the official state flag on March 12th 1907 and slightly modified in 1957. The flag consists of a blue field with the state seal in the center. Beneath the seal is a red and gold banner with the words "State of Idaho". According to the official description, the flag should have a gold fringe around its edges, but many versions of the flag omit this detail.